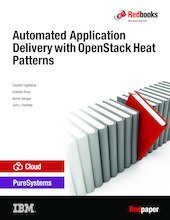 This IBM® Redpaper™ publication focuses on demonstrating how to build, deploy, and manage OpenStack Heat Patterns on IBM PureApplication® Systems. This paper addresses the topic of automated application deployment and delivery through patterns. In particular, it focuses on patterns based on open source technologies, primarily OpenStack.